You have to think anyway. So why not ‘Think Big’? With the theme ‘Think Big’ in mind, Witty International School, Pawan Baug conducted its 13th Annual Day with great pomp and splendour. The chief guests for the day were Ms Megha Gupta – Mars Society of India and Team Pratham – Student Satellite Project, IIT Bombay who have made our country proud and are true epitomes of ‘Think Big’. The programme commenced with the Saraswati Vandana followed by a unique garba-robotics Welcome dance which left the audience spellbound. The Principal, Mr Bijo Kurian presented the Annual Day speech while the Annual Report of the School’s achievements and accolades was put across by a group of students through a live news panel termed “Witty News”. It was indeed informative as well as a moment of pride for the school to have come a long way. The Annual Day skit revolved around a middle class Maharashtrian family where an ambitious mother wanted her son to fulfill her unfulfilled dreams while the father motivates his son to ‘Think Big’ and pursue his own dreams. Then begins the journey to find out whether the son fulfils his mother’s dream or does he follow his heart to unfold a new journey of his own. Along the son’s journey he is introduced to various famous ‘Think Big’ personalities like Steve Jobs, JRD Tata, Kailash Sathyarthi, Louis Braille and our very own Narendra Modi who have made a mark in the world. A splendid blend of dances and drama was incorporated which showcased the true spirit of ‘Think Big’ to become big. The occasion was also marked by a rendition of poems in the Kavi Sammelan which symbolised humour, patriotism, parenting etc. To honour the ‘Think Big’ stalwarts in the field of fashion, a mesmerising fashion show presenting the Brides of India was exhibited. The Founder Dr. Vinay Jain also motivated and encouraged the students and parents with his words of zeal and enthusiasm. It was a memorable day for some of our students who had excelled in sports, music and fine arts at the State and the National level Competitions as they were felicitated and honoured by the Founder, Dr. Vinay Jain. The chief guests spoke about their ‘Think Big’ achievements and experience in the field of satellite and space technology. The finale which was a spectacular aerial dance was befitting the theme of the Annual Day and to the feelings of everyone. With this, it was the curtain call for this year’s celebration with the message to enable each one to dream and visualise on an audacious scale: with no limits to one’s thinking. The ascent can be achieved with this process of growth in all endeavours taken up at our esteemed institution strongly holding on to the idea of ‘Think Big’. Some people hated him others loved him. Many thought he was great, I think he is. Something tells us that his spirit is still with us today. 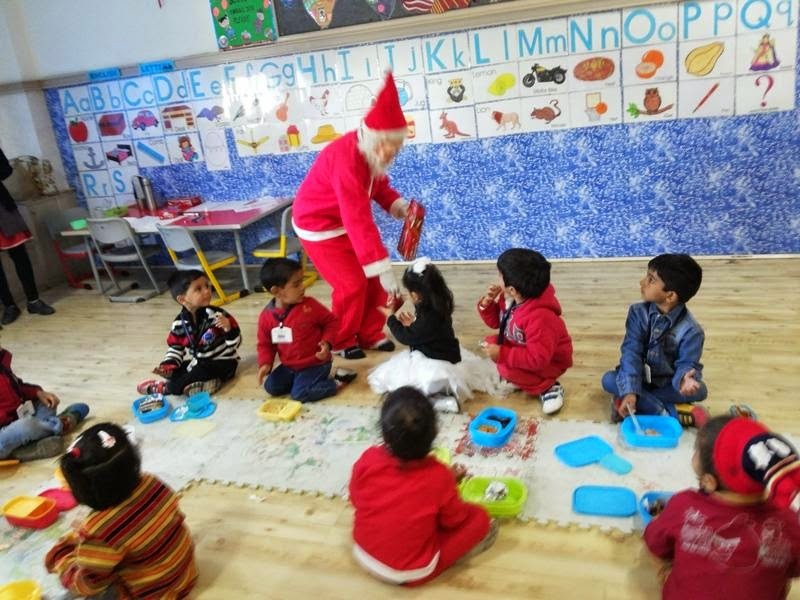 On December 24th, 2014, Wittians of Pre- Primary enthusiastically celebrated the festival of Christmas. Children were dressed in Red & White. Few of them were a part of the Tableau. They came dressed as Joseph, Mary, Fairy, Star, and Three Kings and dramatized the birth of Lord Jesus. Little Wittians enjoyed the Christmas Party, brought sweets & cakes in their tiffin. They also enjoyed the Drawing and Colouring activity organised on the same theme. The sparkling stars of Nursery did the Rhyme enactment of Pat-A-Cake with great zeal. The kids came dressed as a baker and a baby. The character kids enacted on the rhyme and the remaining kids recited the rhyme. Through this activity the kids could visualize the rhyme. The little wittians celebrated Christmas on Wednesday December 24, 2014. Kids came in pretty party dresses. They all were looking very beautiful. Teacher decorated entire ground with balloons, frills, Santa caps and Christmas tree. The sparkling Wittians of PG and Nursery put up a dance performance. The little wittians of Jr. KG recited a beautiful rhyme on the birth of Jesus. The kids of Sr.KG presented a play about Jesus Christ’s birth. Through this act they came to know about the birth history of Jesus Christ and everyone enjoyed watching this play. Santa came and wished everyone a Merry Christmas and a happy new year and kids of Sr. KG also sang the Merry Christmas and a happy new year song and wished everyone the same. We wish you a Merry Christmas and a Happy New Year! A time to rejoice and celebrate. It is joy in the heart that puts Christmas in the air. Wittians donned in casual attire and Christmas caps presented various programmes to celebrate the birth of Lord Jesus. The programme commenced with a beautiful prayer presented by the school choir, followed by a speech and poem on Christmas. The students of Grade VIII showcased the Nativity Play giving a glimpse of the momentous occasion. The Witty Choir group presented melodious Christmas carols in praise of the Lord. The perfect essence of Christmas was captured through the musical tunes of joyous Christmas carol ‘Jingle Bells’ presented by the students of Grade 1 and 2. 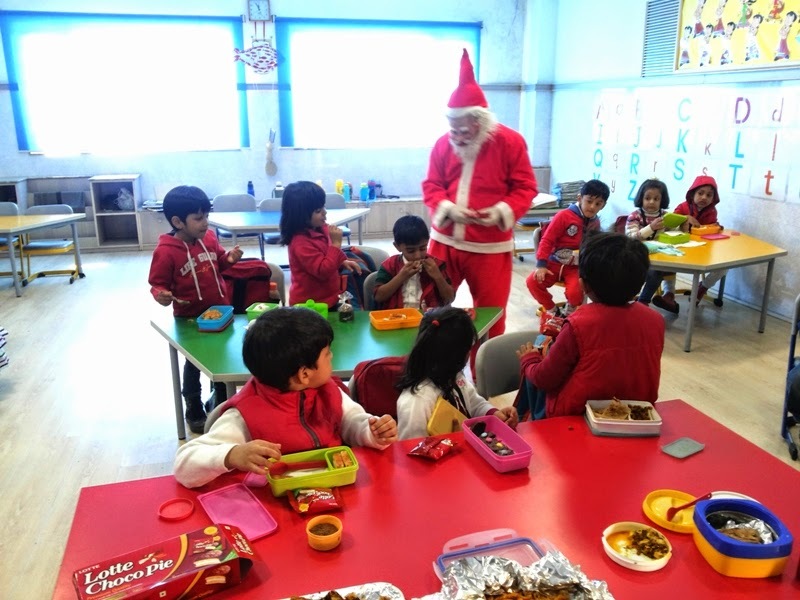 To add to the festivity fervor, Santa Claus appeared in the school auditorium distributing joy in the form of Choco Pie and shaking hands with the students.Principal Ms.Shubha Govil also conveyed season’s greetings to everyone present. Christmas is celebrated to remember the birth of Jesus Christ, who Christians believe is the sons of God. The name 'Christmas' comes from the Mass of Christ (or Jesus) Christmas is now celebrated by people around the world, whether they are Christians or not. The little angles of Witty Kids Shastri Nagear celebrated Christmas Day on Wednesday, December 24, 2014. The kids came dressed in party wear. 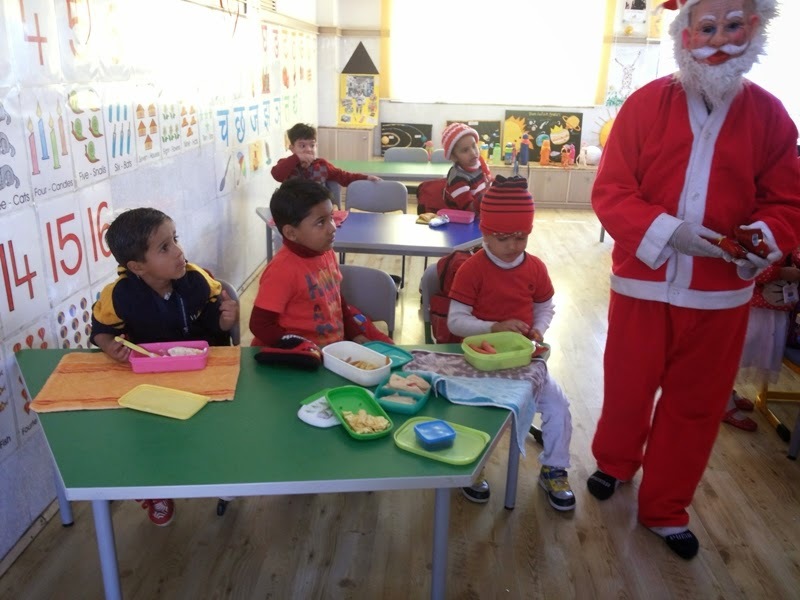 The entire school premises were decorated with the Christmas theme. Nursery children presented the song 'Jingle bells'. The kids danced on a few dance numbers. Santa came and wished everyone a Merry Christmas and a happy new year. The kids were given the information why we celebrate Christmas. Kids enjoyed the celebration a lot. 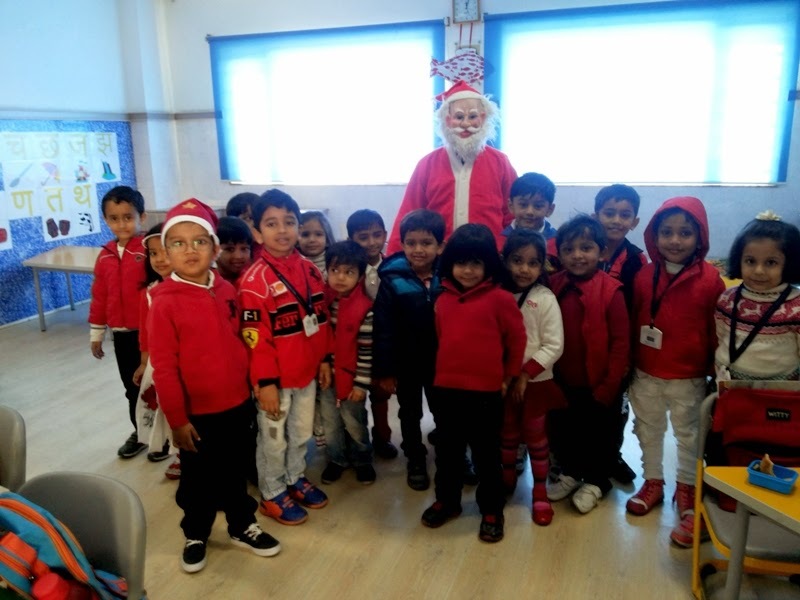 The much awaited Santa Claus visited our Witty International School, Bhilwara, and Wittians celebrated the joyous festival of Christmas and also welcomed New Year with enthusiasm and zeal. Students described the story of the birth of Jesus Christ, the Saviour. The choir 'Joy to the world’ expressed everyone's feelings of joy and happiness. The students were told about the history and origin of “St. Nicholas” the well known Santa Claus. The message that, this festival is primarily a celebration of God’s love towards mankind was delivered to the students. Santa Claus added to the gaiety and drew loud cheers from everyone and distributed gifts too. An exciting and fun filled carol was performed by the teachers to show the festive mood. Children enjoyed and had a great time. At last the students wished each other Merry Christmas and a Happy New year.